With a purse of 12 million dollars the Pegasus World Cup has the destinction of being called the richest horse race in the world, surpassing the Dubai World Cup. It is a thoroughbred race for horses four years and older whose inaugural run was held on January 28, 2017, at the Gulfstream Park which is situated in Hallandale Beach, Florida. A grade one horse race, it runs over a dirt course at a distance of 9 furlongs with participants allowed to carry 124 pounds along with an allowance of three pounds for fillies and mares. In 2017 the prize money set aside for the Pegasus World Cup was $12 million, in 2018 this rose to $16 million. In 2019 though the prize money will reduce to $9 million, with the remainder set aside for new Pegasus World Cupturf race. 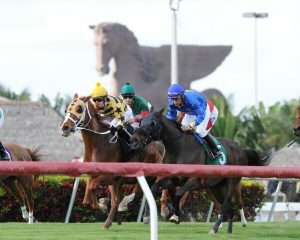 The idea behind the race was first proposed by Frank Stronach through the Thoroughbred Owners Conference conducted at Gulfstream during January 2016. The proposition consisted of an annual 10-furlong race to be run by the riders which were planned to be held in either Gulfstream or the Santa Anita Park. The time period from mid to late January for the race was proposed so that it did not conflict with the Breeders’ Cup and the Dubai World Cup. Also, it was deemed important to give a fair opportunity to the horses to run the last race during the North American breeding season before retirement. After a series of back and forth discussions the official announcement was made for the race to be run at a distance of 9 furlongs in mid 2016. The initial running of the race acquired Grade one status and there was extensive promotion done by using the titles of California Chrome who had won the American Horse of the year twice and Arrogate who had been ranked by IFHA as the World’s Best Racehorse in the year 2016. The 2017 race was indeed later won was by none other than by Arrogate who won by almost five lengths, showing his class in the process. Shaman Ghost finished in second place. In the 2018 Pegasus World Cup was won by Gun Runner ridden by Florent Geroux and trained by Steve Asmussen. They took home $7,000,000 in winnings. West Coast trained by Bob Baffert finished second. Baffert of course also trained the winner of the previous year’s Pegasus World Cup, Arrogate. 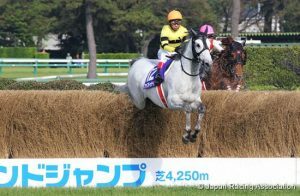 With a race purse of 150 million yen, the Nakayama Grand Jump is a steeplechase race that is held annually during the mid-April at the Nakayama Racecourse in Tokyo. It is a race for four years over at a distance of close to 2 2/3 miles. The time of the event and the famous Cherry Blossom season in Japan perfectly coincide with each other giving those attending the event a unique experience alongside the competitive racing action. The race was first held in 1999 after its title was changed from Nakayama Daishogai Spring in 1998 (at the time the race had a slightly shorter running distance). It is one of the most prominent grade one steeplechase races run on the Japanese turf along with Nakayama Daishogai which takes place at the same but with a few changes to the format. During the early years, there were not many participants from abroad but this gradually changed over the period of time, as the race’s reputation grew. The Nakayama Grand Jump is run on the steeplechase course in Nakayama which cradles around the inside of the racecourse over a progression of jumps over various inclines and declines. Along with the passage through the dirt course, the turf course is also crossed by the riders as they enter into the final lap with a final three jumps of the race to be contested. During the early years of the race there were not many winners and riders from foreign countries but this trend changed over time. The achievement was first realised by St Steven from New Zealand in 2002, then Karasi from Australia in 2005, 2006, 2007 and Blackstairmountain from Ireland in 2013. This has led to a real increase in enthusiasm for the event amongst foreign owners who relish in the astounding natural beauty that surrounds the Nakayama racecourse and also dream of winning there. 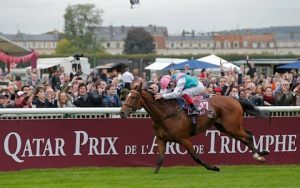 Prix de l’Arc de Triomphe is a prestigious group one flat race held in France which is often regarded as a national event by organisers and fans alike, not just a horse race. It is open to thoroughbred horse races of three years and older and is run at a distance of 1 1/2 miles in October of every year. Gaining the title of world’s second richest turf race after The Everest, it has hosted some of the world’s top international riders along with the best thoroughbreds globally. In French racing there was an initial plan to restrict to horses born and trained in France – as was outlined by the French governing body of the sport. However, after the launching of the Grand Prix de Paris in 1863 and the Prix du Conseil Municipal thirty years later there was more emphasis on attracting foreign talent to French racing to bring aboutan internation flavour. In 1920 a third race designed to showcase French thoroughbred bredding was set up. The name of the race was inspired by the popular monument Arc de Triomphe a symbol of the allies and for victory during the First World War in 1919. The race was first run in the year 1920, a year that was triumphed by Comrade who was a three-year-old colt, and was awarded 150,000 francs. The venue of the race had to be shifted from France to Chantill due to the renovation work at the Hippodrome de Longchamp in 2016 and 2017 respectively, but it still lives on, and is steeped in history. Over a number of years, the race experienced a healthy injection of lottery funds, but this tapered off over the years until eventually there was a complete shift to sponsorship based fundraising in 1982. The current sponsor of the race is the Qatar Racing and Equestrian Club (QREC) . Several horses have won the Prix de l’Arc de Triomphe twice over the years (most recently Alleged in 1977, 1978, Treve in 2013, 2014 and Enable in2017 ans 2018. Frankie Dettori is leading jockey in the race with 6 wins since his first on Lammtarra in 1995. The Melbourne Cup is an annual thoroughbred horse race held at the Flemington Racecourse in Melbourne and is one of the most reputable horse races in the world. It’s a handicap race for horses aged three years and older. This race follows a distance of 3,200m instead of the two-mile distance traditionally adopted by Australia as per the metric system. It is viewed as one the most expensive turf races around the world. It is an event which is known to have a long tradition after the first inauguration in the year 1861. There has been certain alterations in the structure of the race with the passage of time. One of them is the entry of a number of foreign-trained horses which included two horses trained by the Irish trainer Dermot K. Weld and one trained by the Japanese trainer Katsumi Yoshida. One of the significant reasons of attraction for foreign entries was the amendments made in the handicap weighting system. Comedy King was the first foreign-bred horse to win the 1910 Melbourne Cup. The total amount of prize alloted to the Melbourne Cup accounted to $7,300,000 Australian dollars in 2018 along with trophies that cost $175,000 Australian dollars. The Melbourne Cup was the first race in Australia with a prize amount of $1,000,000 Australian dollars (in 1985). 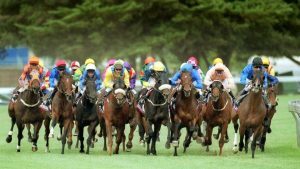 In 2018 $3.6 million was paid to the winner of the Melbourne Cup, with $900,000 AU for second place, and $450,00 AU third. The horse with the most wins at the Melbourne Cup is British-bred Makybe Diva who won three times. The achievement by this Australia trained filly was made all the more special on account that the wins came in three consecutive years (2003, 2004, 2005). She also won the Cox Plate in 2005.